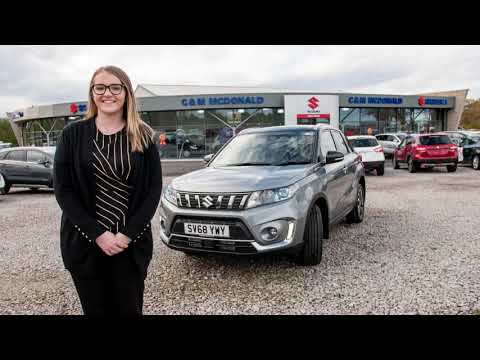 It's a rugged off-roader that performs just as well on the road, it's stylish and eye catching packed with some incredible tech and its proven to be a popular choice for the North East of Scotland - it's the Suzuki Vitara. You can drive a Vitara from £16,999 it comes in 3 models, the SZ4, SZ-T and the SZ5, it's available with the 1 litre and 1.4 litre Booster Jet and can also come as an Automatic and ALLGRIP. Whilst always popular, the 2019 model has been given a slight facelift and comes with some exciting new features. Including Blind Spot Monitoring and Lane Departure warning. The new model comes in a range of new colours too! Watch the video from Kirsty as she explains more! You can find amazing deals on all models 0% APR with £0 deposit over a max of 37 months. With a minimum 20% deposit 0% is available for 49 months - making the Suzuki Vitara even more attractive to North East motorists. 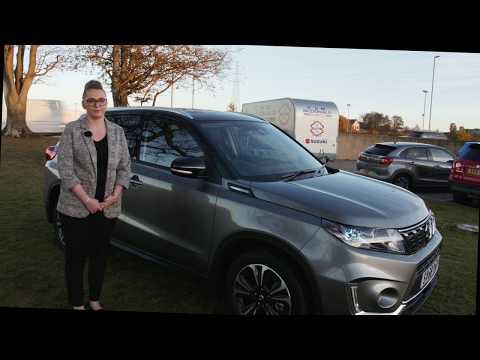 The original Suzuki Vitara was launched back in 1988 where it known for having a stylish design and practical dimensions, 30 years on - it might look different but has remained loyal to those very attributes making it a hugely popular choice for motorists in the North East. The vitara has those SUV proportions so looks tall and muscular but it also brings with it a sporty feel due to the shape of the sculpted panels. Then there are those alloy wheels, silver roof rails and LED daytime running lights confirm the car’s premium nature. It's interior features give it a sophistication to be proud of, with a combination of leather and suede seating it's both soft to the touch and feels premium with the red stitching the colour combination is both stunning and classy. A minimal dashboard design also allows for the incredibly intuitive 'infotainment system' take centre stage and allow it to become part of the real Vitara experience. The range-topping SZ5 also brings with it a three-spoke leather steering wheel paired with silver accents and more of that red stitching. 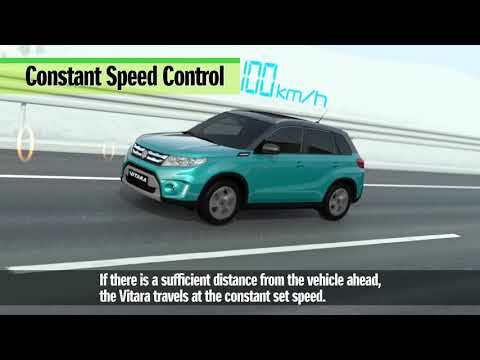 Once behind the wheel you'll feel for yourself that the Vitara is eye catching inside, as it is on the outside. It also features keyless entry tech meaning the keys can stay in your pocket and the engine will fire up on the touch of a button. 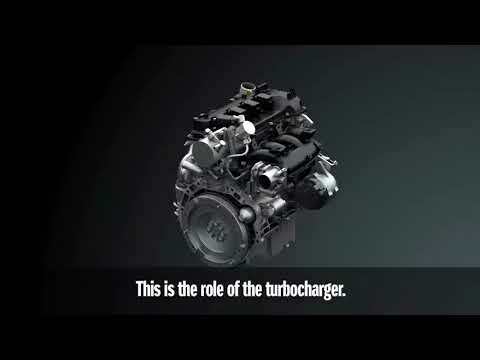 AIt has ABS and ESP braking, hill hold assist and is has an award winning five-star rating from Euro NCAP. But it also brings with it Radar Brake Support is included as standard – a genius piece of technology that will automatically apply the brakes when it detects hazards ahead.